Find the Leadington PD Online! 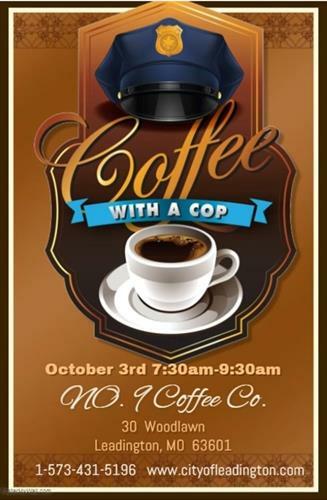 “Coffee with a Cop is a way to build a relationship with the citizens of Leadington and the people that work in our fine little town every day. My goal as Chief of Police has been to have a great working relationship with our community. There is no better way than sharing a cup of coffee and having good conversations."